When other people blog about a book they’ve read, I normally just fly right by. It’s not that I don’t value people’s opinions on books, it’s just that it can be hard to figure out what people are really saying about books in a review. So often we writers have been told only to post good reviews, or if you have criticisms, bury them in praise. After all, if we’re out there bashing books and the editor of that book visits our site while we’re on submission (a distant figment at this point) and sees our unpolitic opinions, then we’re doomed. What that leads to is a lot of reviews that are either watered down, or otherwise lackluster. How many times can we hear that someone “just loved” a book? It’s kind of unhelpful from my stand point. I don’t have a lot of free time, and buying a book is much easier for me than finding the time to read it. So when I read a review of a book, what I need is why someone liked it, not just that it was great. Great is unhelpful to me. And for the record, I’ve read a ton of books that other people rated at five stars and “just loved” that I wasn’t exactly over the moon for. In fact I would have called them crap, except I can appreciate that I have different tastes from other people. So given my views on reviews, it’s funny that I feel compelled to write about a book I just read. And I’m probably going to do it again, but I have some ground rules. 1. If I “just love” a book, boy you are going to hear why and what it was that made me love it. 2. I’m not going to just trash a book for fun, but if there are some serious weaknesses, I’ll let you know. 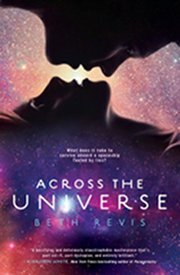 Without further ado, the first book to lead off my reviews is Across the Universe by Beth Revis. 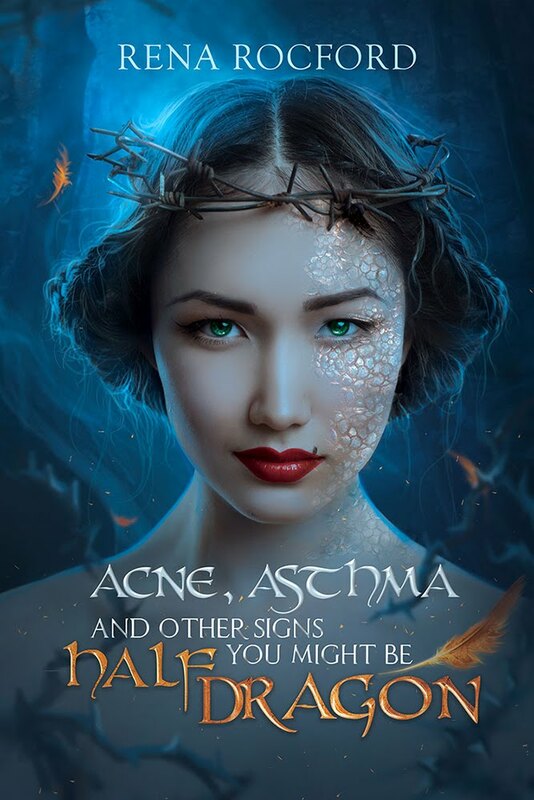 I know I’m pretty behind the times when it comes to reviews, after all, the paperback version of this book just came out, and pretty much everyone has already read it. I literally just set it down, and it was good. Not like “oh it was fun,” I mean good. Solid writing throughout, and I only had one issue. The issue I had is a spoiler and we’ll get there in a bit. The whole book is a murder mystery in space. It’s not quite a thriller and not quite a science fiction of the days of yore (i.e. not Heinlein, but it wasn’t trying to be). The murderer is hinted out very early if you know how to see the clues, but I don’t think that’s integral to the plot. Knowing who the bad guy is, doesn’t detract from the rest of the story at all. In fact, I think it added to the tension. So, why did I love the writing? Amy and Elder (the two view point characters) are written with a voice that makes them come alive. They not only seem like people I know, they have thoughts I have had, making them more sympathetic. At one point I was reading, and the cat brushed up against my leg and I jumped. I was immersed, and it’s because the characters went through all the kinds of thoughts that would have been going on inside me. The writing was very emotionally savvy, which is to say, I thought all the characters had exceptionally appropriate reactions to their situations. I’ve read a ton of books (published and unpublished) where the characters acted out of character. It drives me nuts. Amy and Elder are always in character, and they never act or sound like mouthpieces for the author (another major pet peeve of mine). Voice: Beth’s voice really shines through in the way the characters think about the world around them. I liked it, but I always sort of wonder how much of that introspective is realistic (I think this largely stems from the fact that I’m just not that deep of a person—no, I’m not fishing for compliments, I’m just not that deep). The only thing that would have made the book more awesome: more action. There was very little. I like my explosions and my chase scenes, and there were none. Even without enough explosions to make a 12 year old boy happy (that’s how I like my movies, explosions by Michael Bay, Script by Joss Whedon), the book really drew me in and made me read it. I could not put it down, even though I’d already guessed the murderer very early, the tension was palpable. I had a hard time putting it down to do things like feed my daughter her dinner. Seriously, don’t read this unless you must know my one issue with the whole book, and it didn’t ruin it, it only raised more questions. And yet, even with this issue (I can’t really call it an oversight) the story is still incredible, beautifully written and engaging. She does a fantastic job of capturing the delicate situation of the plight (what happens in a generation ship when the engine breaks?) of a ship in space with nothing out their. In short it is a fantastic Sci Fi novel. If you haven’t read it yet, pick up a copy. And if you haven’t checked out her blog, go here.